In a land-locked state in the middle of the U.S., fresh seafood is hard to come by. You may be able to track some down in bigger cities – or you can simply look right here in Columbia on the Business Loop. Cajun Crab House is new to these waters, only having been open for just over one month. The seafood is fresh, the menu is getting rave reviews from customers, and the business is making a name for itself. 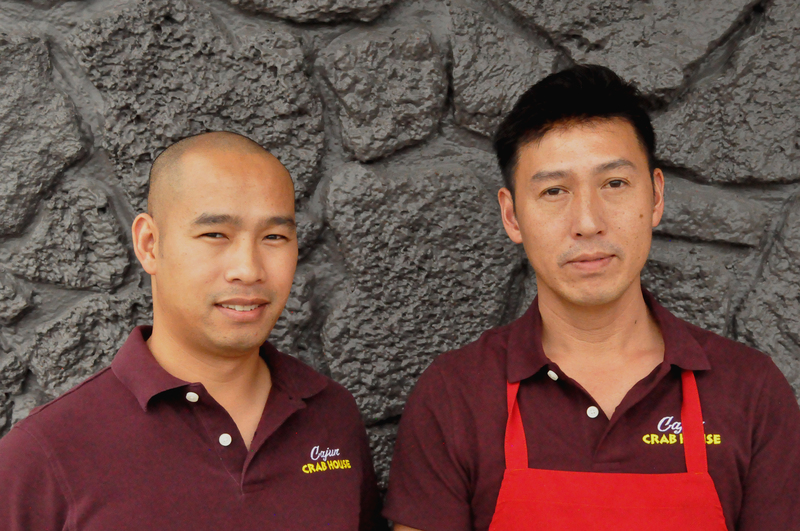 Kevin Dinh, the owner, brings a fresh take on seafood to the Columbia community. 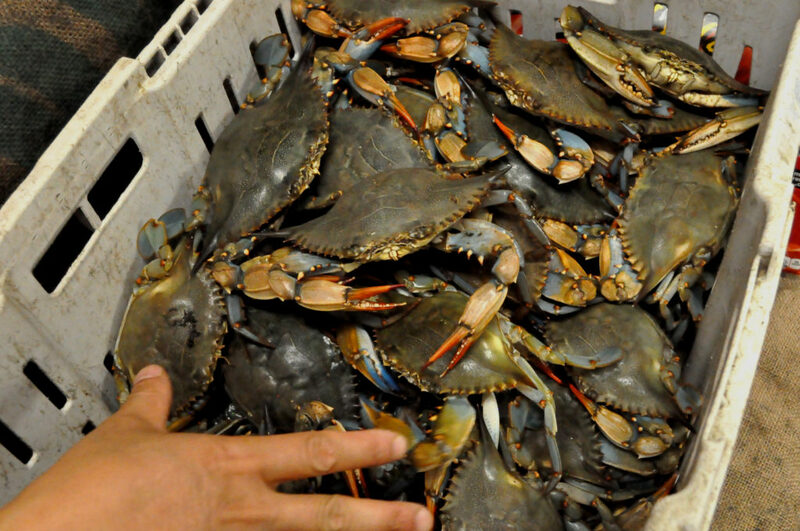 Fresh fish, shrimp, and oysters are all on the menu, and the crab is so fresh that they’re still alive. 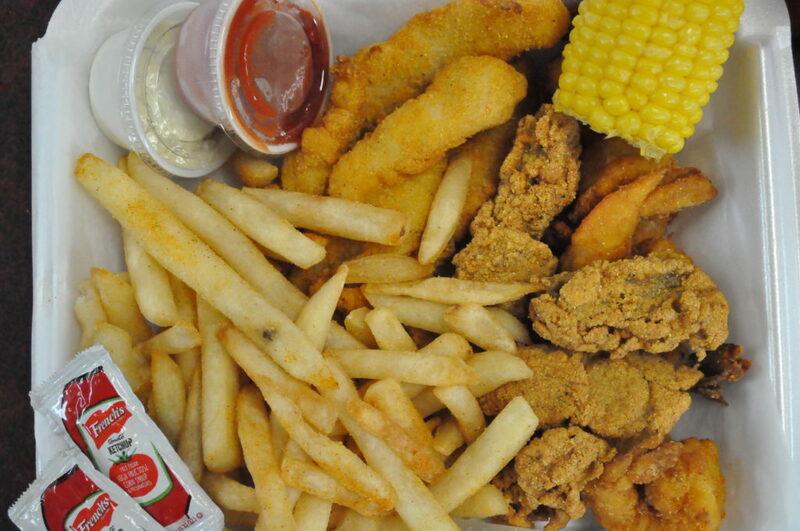 A side of fries, corn, or hush puppies rounds out the meal. With just one bite, you can taste the difference that fresh seafood makes. Despite being new on the Business Loop, Dinh isn’t new to Columbia. He used to live here before he left for Mississippi, and he’s happy to be back serving the Columbia community. Dinh owns a crab company in Mississippi, and supplies seafood to quite a few different places around the country, including both St. Louis and Kansas City. “A lot of people go to St. Louis, Kansas City to get seafood – chances are it’s my seafood they’re getting. And it’s cheaper here anyways,” said Dinh. 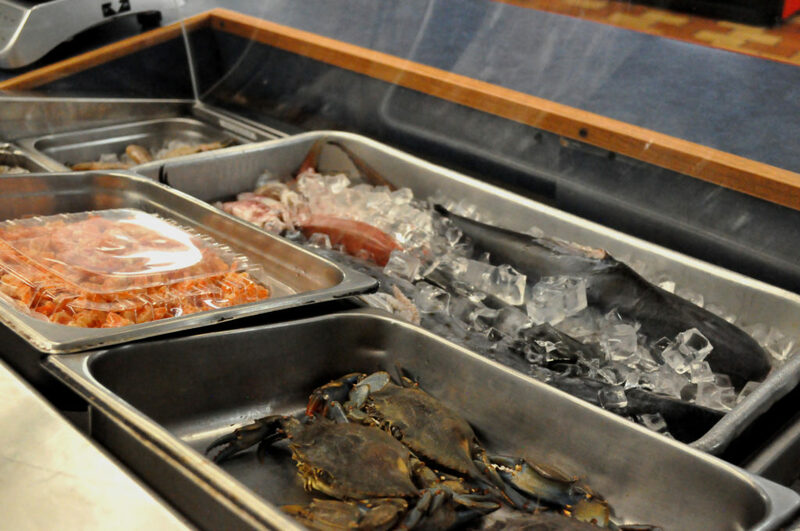 The counter is stocked with raw fish for purchase and a view of what you can order off of the menu. The prices are good and so is the service, but more importantly, the food is excellent. Pro tip: When they offer you a bib, say yes. What does it mean to shop local? It means having a real conversation with a shop owner who knows their stuff and will share their expertise with you. Whether it’s tuning up your car or sprucing up your house, grilling a steak or planting a garden, we have the knowledge and the tools to get the job done. Here on The Loop, we’re real people, ready to help. Read our other Shop Local Stories.